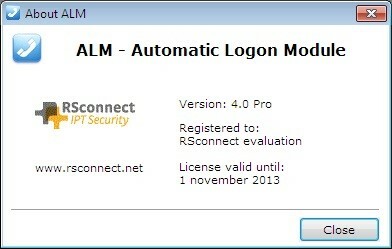 This document is an administrator manual for ALM PRO version 5. 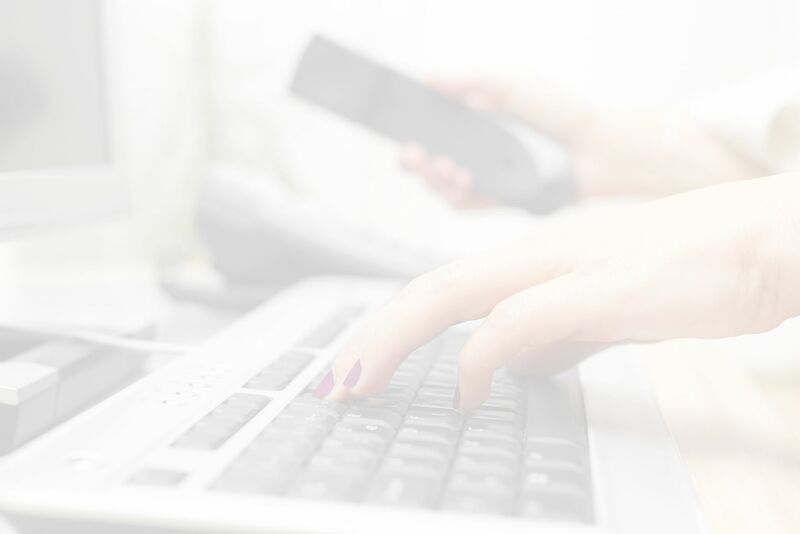 This document describes the procedures to upgrade the software or activate a new license. Please use the RSconnect Customer Support Center (CSC) to obtain new software version and/or license files. If you do not have an account please send an e-mail to csc@rsconnect.net along with your contract number. Verify the current installed version. 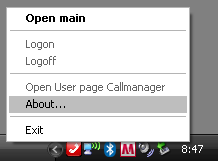 Right-click on the ALM taskbar icon and select about. Note the version, the registered to information and license valid until. To obtain upgrade files send this information to licensing@rsconnect.net along with the service & support contract number. Execute the received installation file on every client or use a script to upgrade the software on the client. The command below can be used to upgrade the software without user intervention. 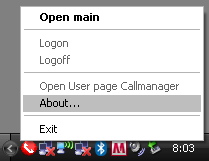 After upgrading the user needs to logoff and log back on to Windows for the changes to take effect. To obtain a new license send this information to licensing@rsconnect.net along with the service & support contract number. The license will automatically be activated when ALM is (re-)started. To obtain new software files including a new license send this information to licensing@rsconnect.net along with the service & support contract number. Start the ALMv5 setup.exe. 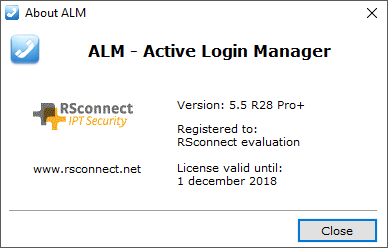 This will uninstall any previous version of the ALM software and will install the new ALMv5 software. User settings will be retained and do not need to be entered again after installation. The command below can be used to upgrade the software without user intervention. To obtain new licensed files send this information to licensing@rsconnect.net along with the service & support contract number.